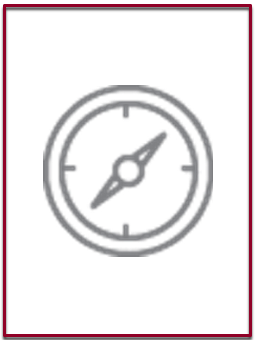 Teacher certification should verify the presence of demonstrable philosophical understanding and competent teaching skills in the one certified. 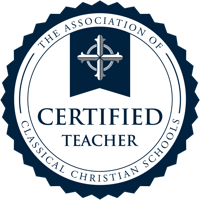 The ACCS Teacher Certification is established to enable teachers to attain the highest level of classical Christian instruction under the supervision of their school’s administrator, while providing a long term independent record of that accomplishment with ACCS as well as a certificate of achievement for each level of proficiency attained. 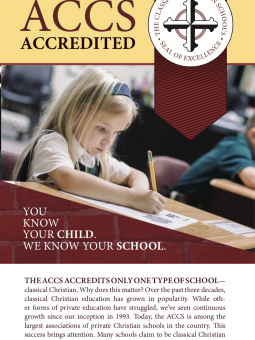 ACCS accredited schools should contact the Director of Accreditation for more information or any questions about ACCS teacher certification. Schools can add certified teachers to the database and receive certificates on the Member Resource Center (MRC). Note: The Foundations Track at the ACCS annual Repairing the Ruins Conference is helpful for achieving ACCS Teacher Certification. Find out more by visiting Repairing the Ruins or by contacting us at info@accsedu.org.